(My headline refers to the word “tamim” which in Hebrew means “innocent” or “wholesome” – two words which are the absolute antithesis of the Tamimi clan). 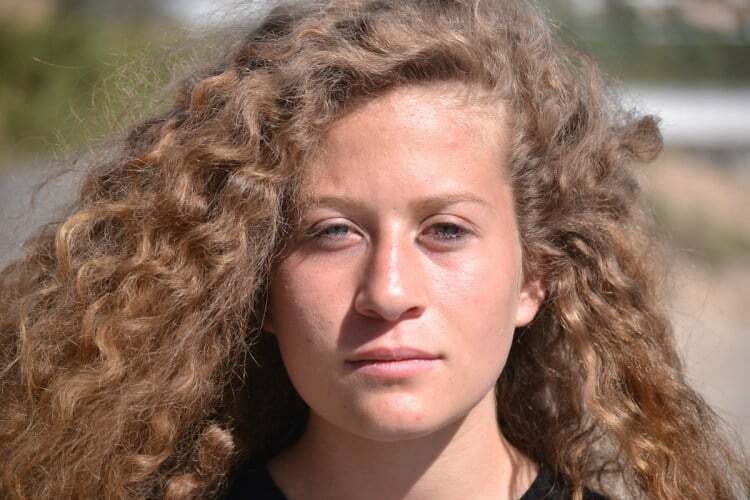 The saga of the Ahed Tamimi – the golden-haired, blue-eyed poster girl for Palestinian support of terrorism (which they like to call “resistance”) – has been dominating the “social justice” media for the last few weeks. Ever since she was arrested – finally! 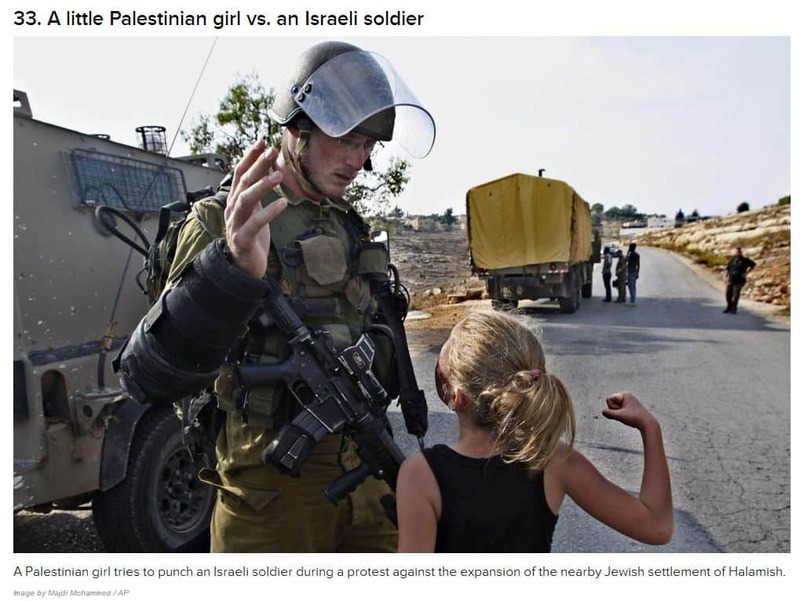 – by the IDF for slapping a soldier, after years of other provocations against soldiers, she has become a heroine of the foreign social justice warriors, the extreme left and of antisemites in general. Ahed Tamimi was dubbed with the immortal nickname Shirley Temper by Aussie Dave of Israellycool and it fits her perfectly. Her staged displays of temper tantrums and faux outrage at IDF soldiers, always in front of a camera, earned her fame and fortune amongst those who bear ill-will towards Israel. And she has always been aided and abetted by her parents, to the extent that they have set up their own media company, Tamimi Press. You may recognize the main child as none other than Ahed Tamimi aka Shirley Temper, already a veteran of these attempts to provoke soldiers, encouraged by her vile parents. …As I have said before, this is child abuse, plain and simple. While I suspect the parents know full well these soldiers will not hurt their children, they are hoping they will – all for the propaganda value. A great fuss was made in the international media that Israel had arrested a “child” – and Israel’s case was NOT helped by the Knesset’s resident idiot Oren Hazan who embarrassed his position as well as the entire nation in his interview on the BBC (who obviously knew exactly whom to interview to put Israel in the worst possible light). But the BBC item was a typical example of the slant applied to the story by the international media. With everyone’s favorite Pallywood actress back in the news, I have noticed how the Israel-haters post photos of her in her younger days – to emphasize she is just a child. … The question is, and always has been, how old is she? News reports give her age as either 16-years-old or 17-years-old, but by my previous calculations, she is now 18. The question is why then the mentions of her as being younger. But I think we all already know the answer. And if they lie about this, you can bet they are lying about a bunch of other things as well. It is now clear beyond doubt that Ahed Tamimi has been indoctrinated by her parents from infancy to hate Israelis and Jews, and to support their murder. But a very observant Israellycool reader noticed Nariman speaking softly right before Ahed and Nour went and starting attacking the soldiers. It has been confirmed by two Arabic speakers that she was saying “utrodo” (“اطرد”), which means kick them out/expel them. In other words, Nariman deliberately told her young daughter Ahed and cousin Nour to go down there and start trouble with the soldiers, in order to kick them off the property. I have documented in great detail that for years, the Tamimis have glorified and incited terrorism, and that they hold family members who have committed terror attacks in high esteem. This is particularly true for Ahlam Tamimi, the mastermind and facilitator of the 2001 Sbarro bombing in Jerusalem that killed fifteen people including seven children and a pregnant woman, and left some 130 people injured; one young mother remained in a permanent vegetative state. Ahlam Tamimi has repeatedly boasted of the carnage she planned and helped perpetrate. Given the current efforts to whitewash the Tamimis’ glorification of terror and their openly acknowledged association with, and admiration for, murderous terrorists, it is time to demonstrate that nothing has changed. It is particularly noteworthy that in the past year, Nariman Tamimi continued to advertise her admiration for Ahlam Tamimi. Below is a screenshot of some of Nariman Tamimi’s Facebook photos posted in 2017. The five images marked with yellow circles show Ahlam Tamimi, the Sbarro massacre mastermind and facilitator. Nariman Tamimi posted this photo with the chilling comment “#Ahlam_will triumph” – which is likely a reference to the publication of an FBI notice that included Ahlam Tamimi among the agency’s “Most Wanted” terrorists. This is presumably the first time that Amnesty International, Human Rights Watch and B’Tselem are enthusiastically campaigning for someone who has declared publicly for years that a murderous terrorist who is now on the FBI’s Most Wanted list should be viewed as an admirable hero who deserves full solidarity. Yet, when these so-called human rights organizations insist that the Tamimis are a symbol of Palestinian “resistance,” they are entirely right. And no matter how much Amnesty International, Human Rights Watch and B’Tselem may try to mislead, Nariman Tamimi – along with other members of the clan – has demonstrated over and over again that supporting this “resistance” is supporting terrorism. Next time you hear about Palestinian “resistance” just keep those words of warning in your mind. Now let’s just hope that the judge throws the book at Ahed Tamimi and gives her the maximum sentence allowed. Maybe then her reeducation can begin. This entry was posted on February 1, 2018 at 11:54 PM and is filed under Indoctrination, Palestinian incitement, Palestinians, Terrorism. You can subscribe via RSS 2.0 feed to this post's comments.